Since we're a gluten-free family, we like to make our own seasoning mixes. We do it out of necessity, but if you think about it the foods that we CAN'T have are actually the pre-mixed, packaged foods which are normally high in sodium, preservatives, etc. So, even though it's necessity, it's a healthier way to eat. This chicken fajita recipe is one of our staples. It's fast, easy, and you probably already have the ingredients in your pantry - added bonus! Enjoy Monday's recipe. Using a gallon sized bag, combine the lime juice, oil, chili powder, garlic powder, salt & pepper. Add the chicken turning to coat. Let stand for at least 10 minutes, a bit longer if possible for more flavor. On medium-high heat, add the chicken, green pepper, and onion. Saute until the chicken is done. (I usually slice the chicken a couple of times after cooking and add back to the pan.) In a microwave, heat tortillas between two damp paper towels for 30 seconds. Add your favorite toppings and enjoy! Ok, I gotta find out if that linky tool thing will work on my blogs! (all hosted at wordpress) very cool! And your recipe sounds so good, I think it might be dinner tomorrow night! Yummy! 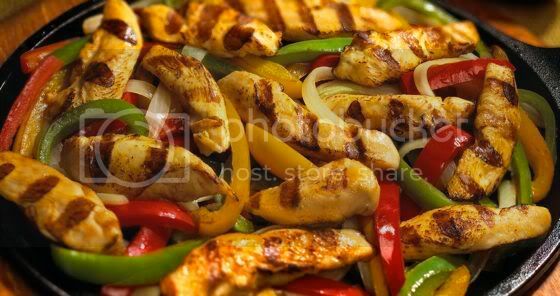 Thank you for the recipe...I am so craving those chicken fajitas right now! 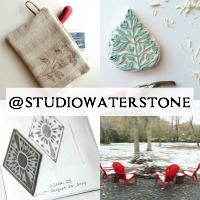 Please check out my blog, I am bringing you some sunshine with an award!